Product Displays Or Desk Calendars. Table tents are one of the most flexible marketing tools around. Not only can they function as advertising materials, they are also great table decorations. Table tents serve as great product displays. They are often placed in locations with high foot traffic like the reception or waiting areas of an office or store. 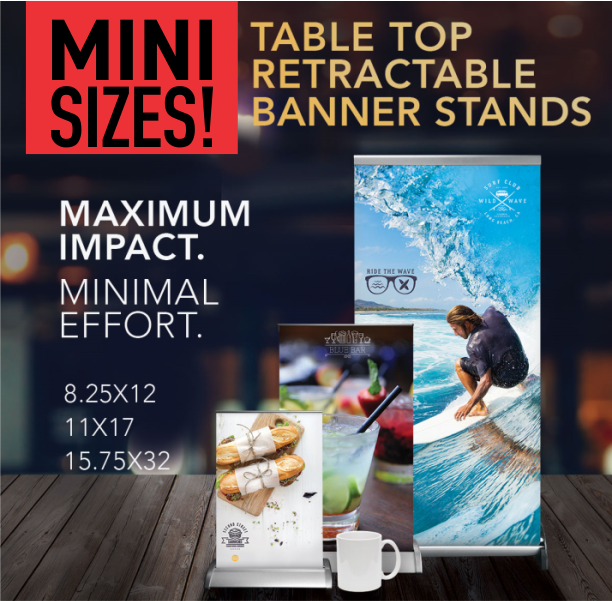 You can use them to showcase your products or any special discounts. So whenever consumers come in and out of your office they are exposed to repeated viewing. These boost brand awareness, brand recall and even sales. These are usually used by restaurants to highlight their bestsellers. You can also use them as corporate giveaways to clients. They work well as desk calendars. Table tents work as great centerpieces during parties and events. You can use them as menus or event programs. These are often used during weddings and corporate affairs. Just remember that your designs must complement your theme. Table tent is delivered unfolded. This product comes with three scored lines for folding and two die-cut slits to connect the base. Glue is not used for table tents. 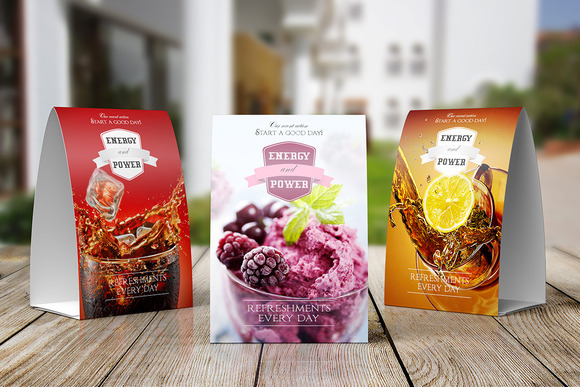 A counter card is a marketing tool any business can use. They are commonly used as point of purchase displays, service menus, event signs and trade show displays. 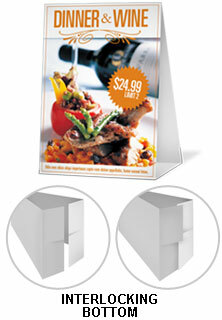 Any flat surface or countertop becomes premium ad space with easel backed Counter Cards. Use them in glass display cases, on bookshelves, register counters and tabletops. Place your marketing message at eye level with full color printed Counter Cards. With several sizes to choose from and the option of lightweight Foamcore or durable PVC, Counter Cards fit a variety of applications. 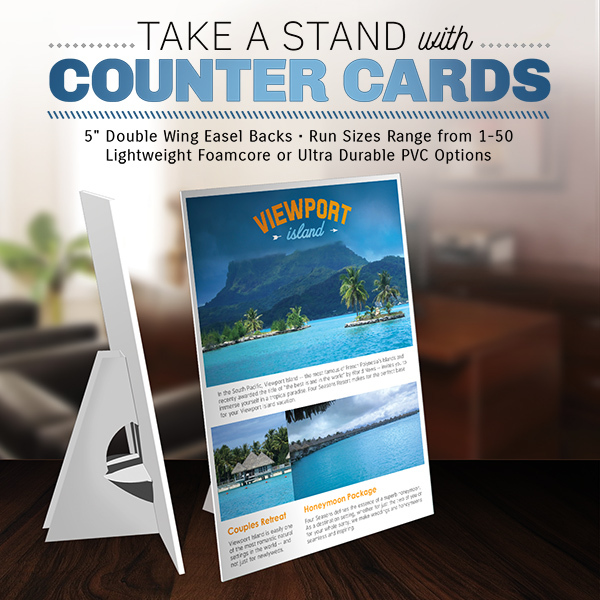 Counter Cards have white chipboard easel backs and are recommended for indoor use. PVC – 3mm White Our 3mm (1/8″) PVC material is a smooth, bright white rigid plastic that is lightweight, yet very durable and weather resistant. Foamcore: 3/16 Rigid Foamcore is made of a relatively delicate material and is best for one time use; it can last longer with proper care. This product is not waterproof and is recommended for indoor use. Easel Backs: 5″ Double Wing Easel Backs are made of white chipboard material and are applied to the printed material by 4over. Shipped flat. Final assembly required.